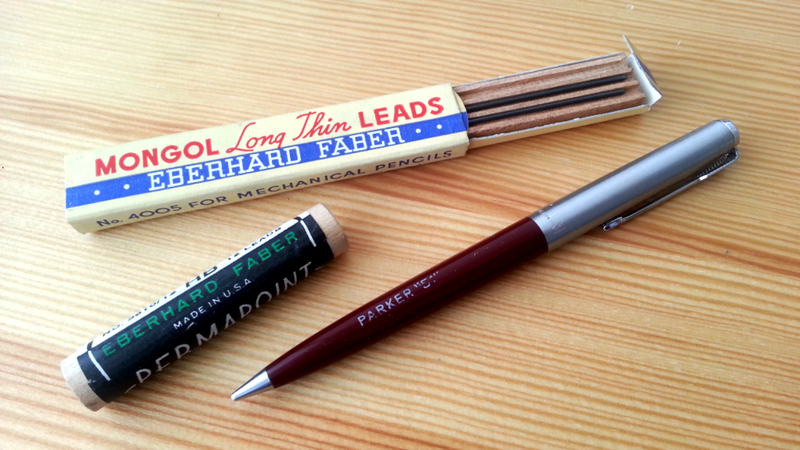 I have always wondered why vintage mechanical pencil leads were so much more available than vintage graphite pencils. There doesn’t seem to be that much demand and they can be had quite easily and cheaply on eBay. Is it because lead degrades more over time than woodcased pencils? Do pre-polymer leads write worse than modern polymer leads? Or is it because branded leads (Mikado/Mirado, Mongol, Koh-I-Noor etc.) don’t perform as well as the woodcased originals and therefore a waste of money? When I set out to try the ones I had, I immediately realized why there wasn’t much demand for them. Size problems! 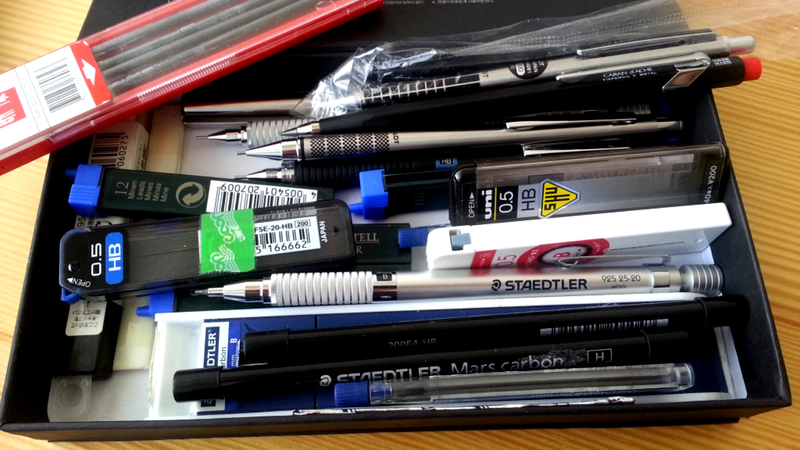 They don’t fit any of the mechanical or clutch pencils I own! I haven’t broken out the Permapoint yet so I don’t know, but the “long thin lead” seems to measure around 1.1mm – and it’s just slightly, vexingly bigger than the lead in the Parker 51 pencil, which is the only “vintage” pencil I own. Does this mean I will have to hunt down an old leadholder just to match this lead? Can anyone tell me how this lead writes so I’ll know whether it’ll be worth the effort? I find the original Parker 51 lead somewhat hard and light. And in the meanwhile, here’s my paltry collection of mechanical pencils – they are few but because there aren’t many of them, I’ve had the time to grow to love each one, and several of them have been gifts too. I’ll go back to them any day, once I’m done with my pencils and fountain pens!